I am sitting at my desk staring at two articles I have read within the past week on the subject church leaders everywhere seem to be trying to figure out: the decline in commitment to the local church. The first article was written by the President of Midwestern Baptist Theological Seminary. The second by the pastor of a very large Southern Baptist Church in Tennessee. In the same one week period, I have received two invitations to attend one-day conferences on some of the significant issues facing the church today. One with the current President of the Southern Baptist Convention and pastor of the thriving Summit Church in Durham, NC. Space here precludes me from doing justice to either article. Both were insightful and thought-provoking. The first article concluded that genuine conversion to Christ, early integration into corporate worship and service, and a genuine love for the people of God are critical to continued commitment. 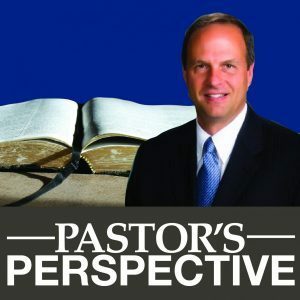 After listing a number of very real factors competing with today’s church, the author of the second article concludes the local church should focus on helping people experience what they can’t find anywhere else: Jesus. Both articles and my ongoing thoughts on this subject made me ask myself the question: why is the local church so important to me? For one, my parents instilled in me a love for the church early on. I knew they loved the church and I watched their commitment to it which continues to this day. Second, I know how much difference the local church made in my spiritual development, especially as a child and a youth. I am committed to providing that same opportunity to our children and youth. There is so much at stake… for them and for the church of the future. Third, I take the Bible seriously. It says we are not to forsake assembling with other believers. It also emphasizes our many responsibilities to “one another.” Fourth, Jesus loves the church. So much that He gave up His life for her. It only makes sense that I should love His church, too, and live my life for Him and for her. Finally, the God I have come to know and love through Jesus is worthy of my worship. I would be absolutely lost without Him! No life. No purpose. No hope. No future. I can’t think of any place I’d rather be every Sunday than in church with God’s people worshipping Him.